British Airways is welcoming more than 1,000 students as part of Work Experience Month 2017. Students will get to experience the airline’s world-class facilities and speak to colleagues at its engineering bases at Heathrow, Cardiff and Glasgow, and its Global Learning Academy training centre. 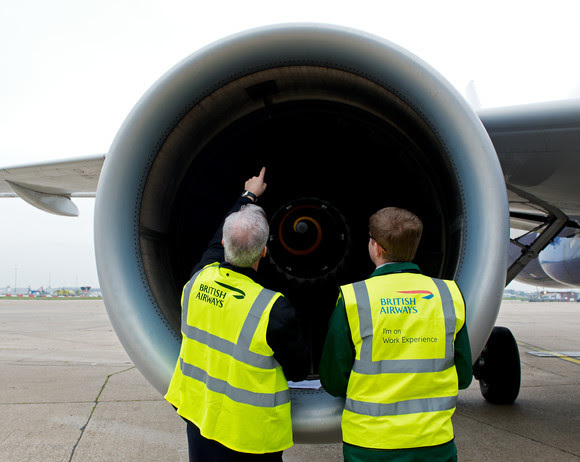 The students will meet and learn from the carrier’s professional operations teams at its Heathrow Terminal 5 operation, including customer service staff, turnaround managers and baggage, loading and cargo specialists. The airline is committed to encouraging the next generation of talent - both male and female – in operational areas, as well as customer service and head office positions, and its leading role in the work experience month has helped many people gain a career in aviation, including on the airline’s extensive apprenticeships and graduate schemes. British Airways engineering apprentice, Max Rann, who went to the airline’s work experience programme when he was at school, said: “As I was still at school I had never had any experience of the world of work. British Airways senior global PR executive, Fran Catling, who attended work experience at the airline before joining the company, said: “It was a great way to get an idea for what a career in the travel industry could offer. “As a student you don’t necessarily know what different jobs involve, so this type of experience can really help you decide if it’s right for you. “There’s no substitute to being in the actual environment, speaking directly with professionals who are experts in their field. “I’d absolutely recommend it to anyone who gets the chance."